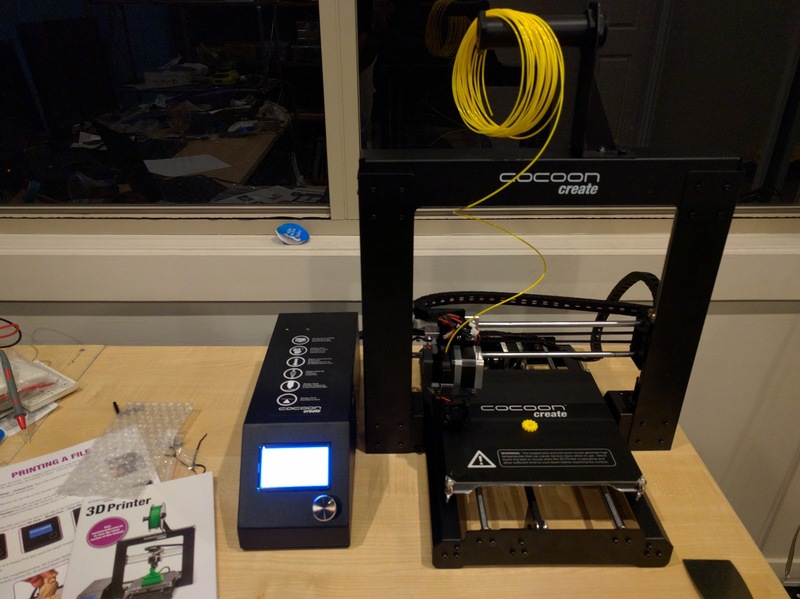 Yesterday Aldi in Australia became the first supermarket chain to sell a 3D printer. Having done a little research in the days prior, it seems to be a rebranded Duplicator I3. This has pretty good reviews, so I splurged out $499 for one, plus a couple of rolls of PLA for $39 each. 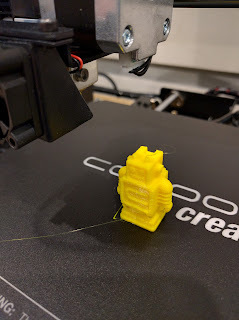 The filament is standard 1.75mm (PLA or ABS). Opened it and set it up last night, really a piece of cake, and generally quite sturdy. Levelled the bed and did quick print (m3 thumbscrew) off the included SD card. For desktop software, it uses Cura, which is open source and used by some other printers also. Yes, it just works. And I'm really impressed with the print quality, the speed and resolution seems to even rival prints off the $2000+ TAZ5 we have at work. All in the 1h I had to spare last night. 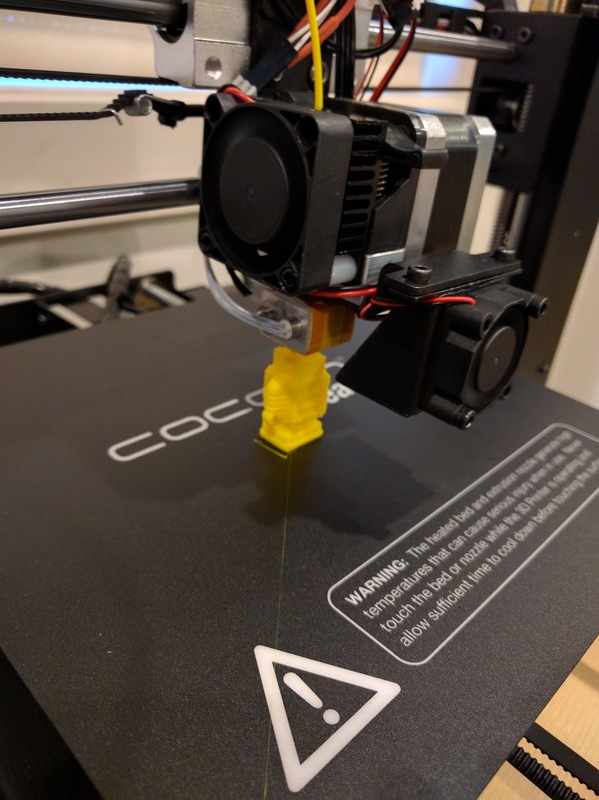 The bed adhesion is great - comparable force is needed to remove the print as on the taz5 (and it comes with a spare sheet). 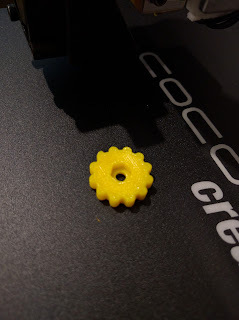 Though I havent printed anything with more than about 2x2cm area yet. The only issue i came across is that leaving PLA in the extruder too long discolours it slightly, but thats solvable by heating only immediately prior to printing. It seems that the extruder still had a little of the orange filament left in it from factory testing. No thermal discolouration!